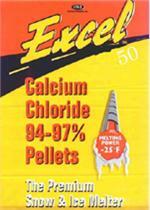 The Standard of the industry for melting ice on sidewalks. Effective to -25F. 50# Bags - 50/Pallet Sold by the Pallet ONLY Shipping - $75. per Pallet - 1/2 Truck Load $150. Full Truck Load FREE Shipping. 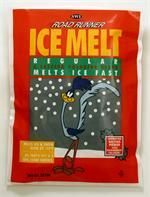 Road Runner is a calcium chloride blend. It melts ice fast. Sold by the Pallet ONLY Shipping - $75. per Pallet - 1/2 Truck Load $150. Full Truck Load FREE Shipping. The granulated form and blue green color of Triple Melt allows easy, uniform application. 50# Bags - 50/Pallet Sold by pallet ONLY - Shipping - $75. per Pallet up to 4 pallets $150. per 1/2 Truck Load (9 Pallets), Full Truck Load FREE Shipping.